HyperXTM continues its support for ESL India Premiership, which is now the country’s elite and a highly lucrative eSport tournament.This partnership demonstrates the brand’s commitment to improve the Indian eSports community.The Winter Season Finale event is scheduled to take place from 3rd to 5th February at India Gaming Show, Hall 11, Pragati Maidan, Delhi. To add more value, HyperX is all set with its much-awaited HyperX Flash Sale, where they slash prices by about 55% on select peripherals for a limited period each day. 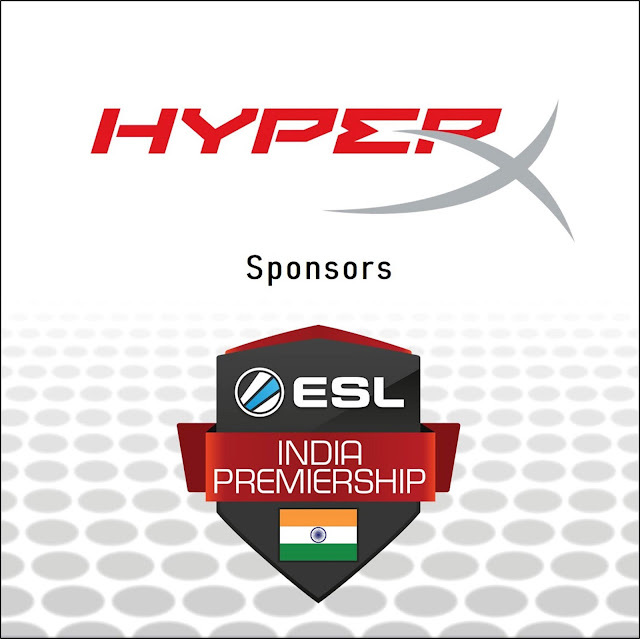 Not only that, the brand will be setting higher standards with its signature ‘HyperX Black Light Zone’, which is the first of its kind activity in any Indian gaming events. To excite the gaming enthusiasts, there are other high-octane engagements like the Live Streaming sessions, Workshops, Cosplayers and more.